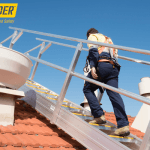 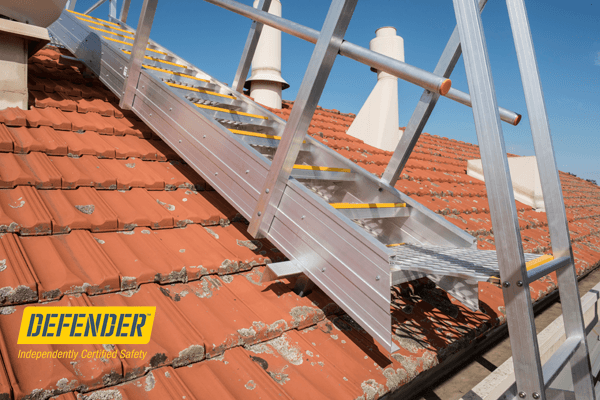 Talk to a Defender™ certified installer about a Defender™ staircase for your site – undoubtedly the safest form of access to a raised area. 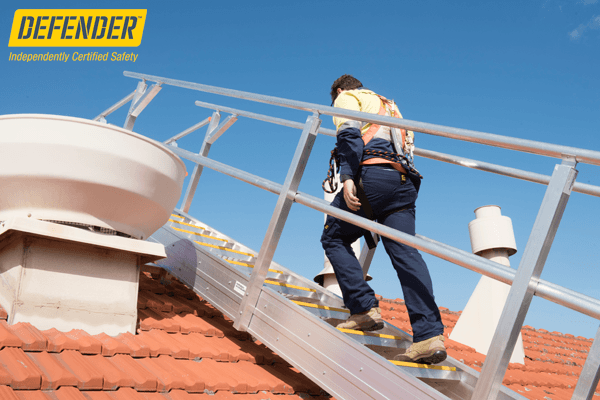 Users can carry equipment safely and comfortably – even without a particularly high level of skill or fitness. 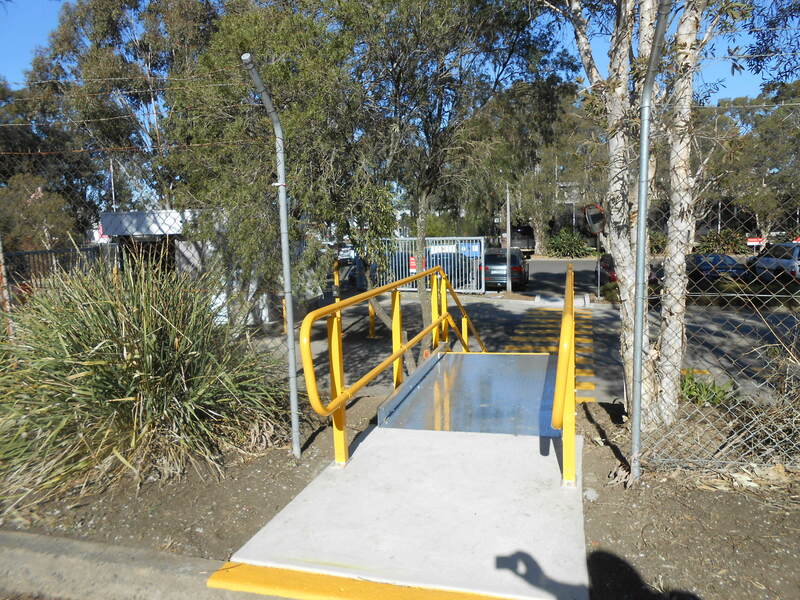 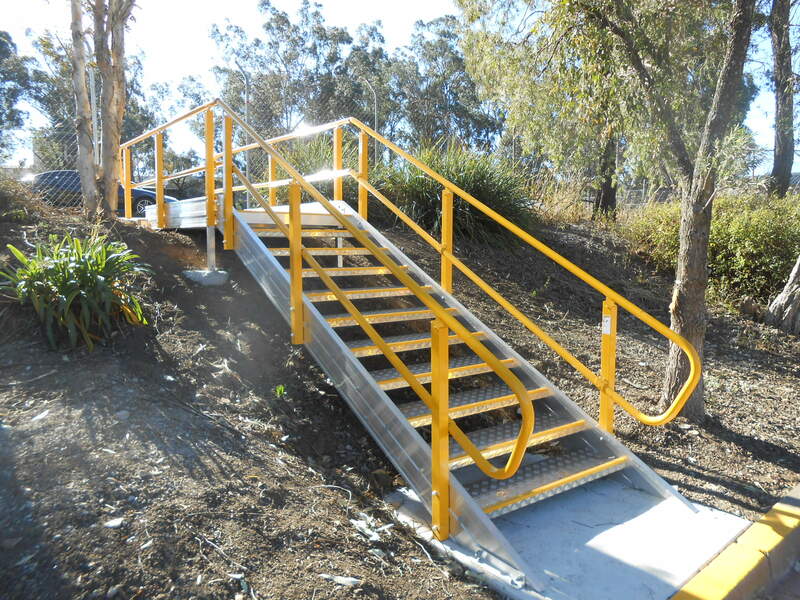 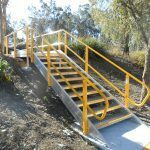 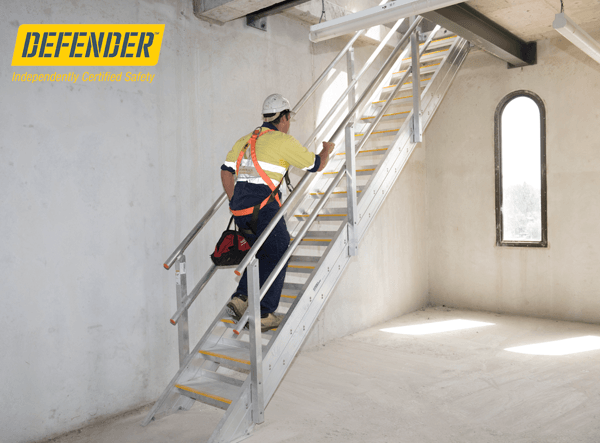 Defender™ staircases can be built internally or externally at gradients of between 26.5 and 45 degrees. 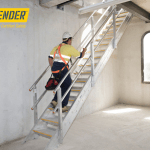 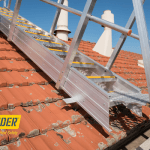 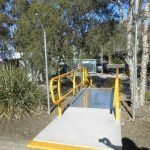 Defender™ can also assist with solutions for other gradients: cleated walkways for less than 26.5 degrees and ladders for gradients of more than 45 degrees. 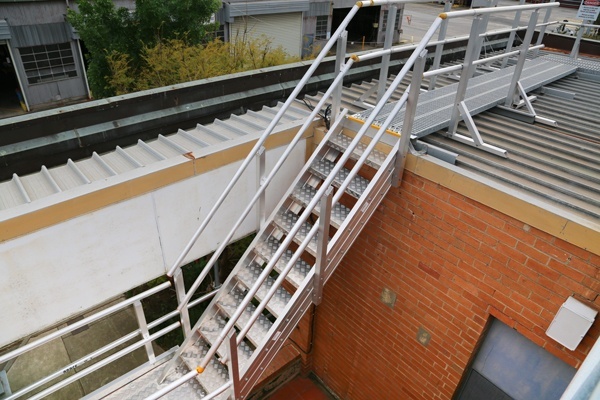 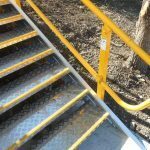 These maintenance access stairs are guaranteed to fit and comply with the BCA/National Construction Code. 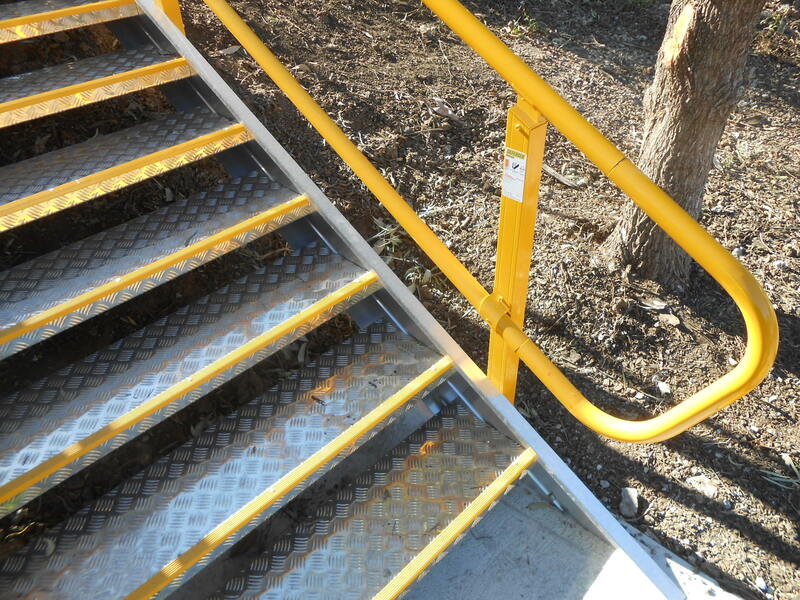 And they’re a dream to work with. 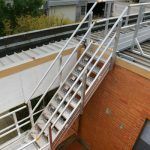 Built off-site to suit your space, Defender™ aluminium stairs are installed in 45 minutes by two people without any welding or special equipment.